I use the adjective “Lyonnaise” loosely. 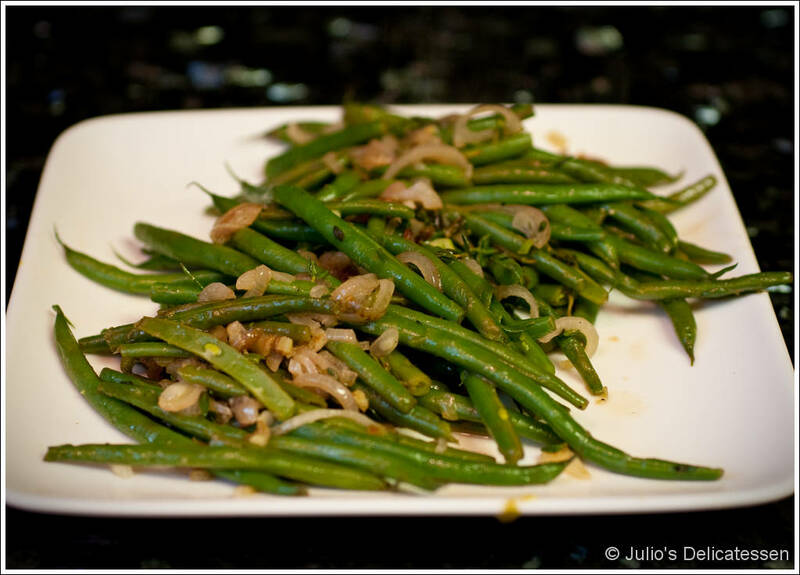 Prepared authentically, this classic recipe (Haricot Verts Lyonnaise) would use no oil, no garlic, way more butter, parsley instead of thyme, and onions instead of shallots. In a large pot of boiling salted water, blanch the beans. 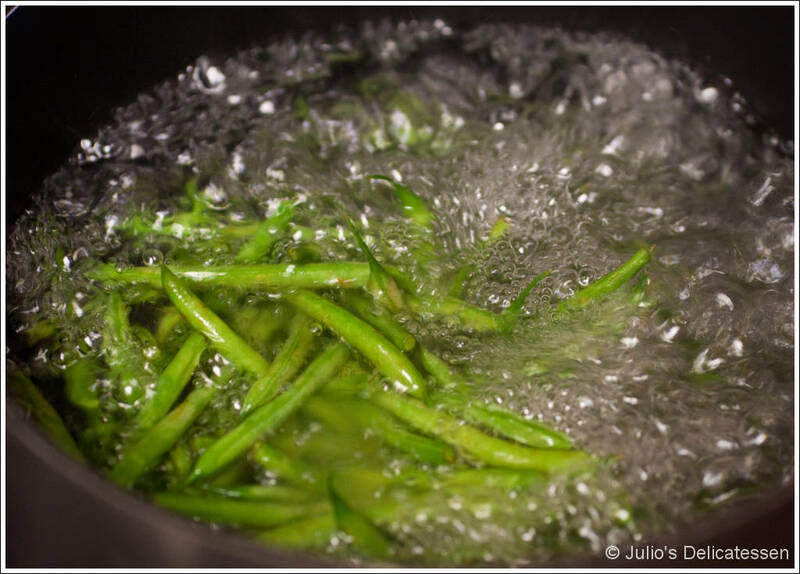 (Three minutes will be plenty if you’re using Haricot Vert, five if you’ve got thicker green beans.). 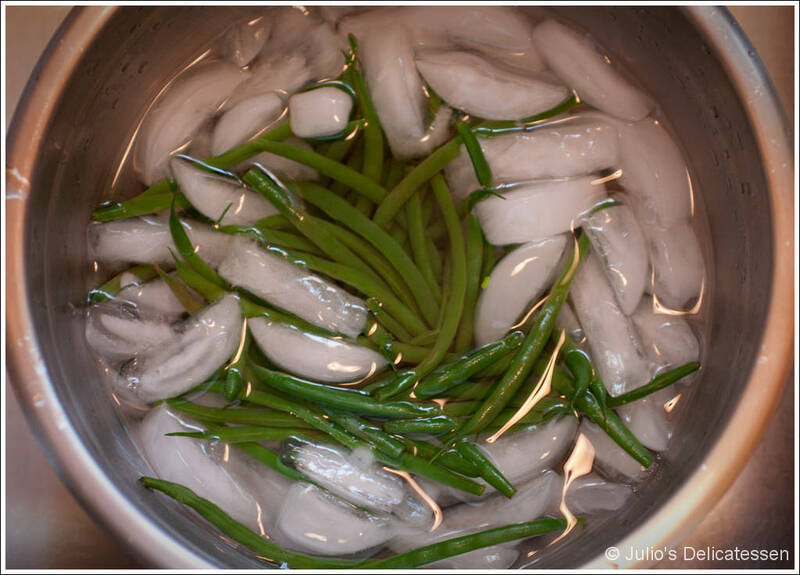 Drain and place immediately in an ice bath for 5 minutes. Remove, dry, and wrap in a clean towel. Place in fridge until you’re ready for dinner. Heat oil and butter over medium high heat. As soon as the butter melts, add the garlic and shallot. After 2 – 3 minutes, add the beans. Cook for 3 – 5 minutes, until hot and coated in the butter and oil. Add the thyme, red wine vinegar, and some salt if they need it. Toss to coat and serve.